The Xiaomi Mi Band 3 may come with a small price tag, but packed inside are a wealth of features that help keep it on par with rival fitness trackers. 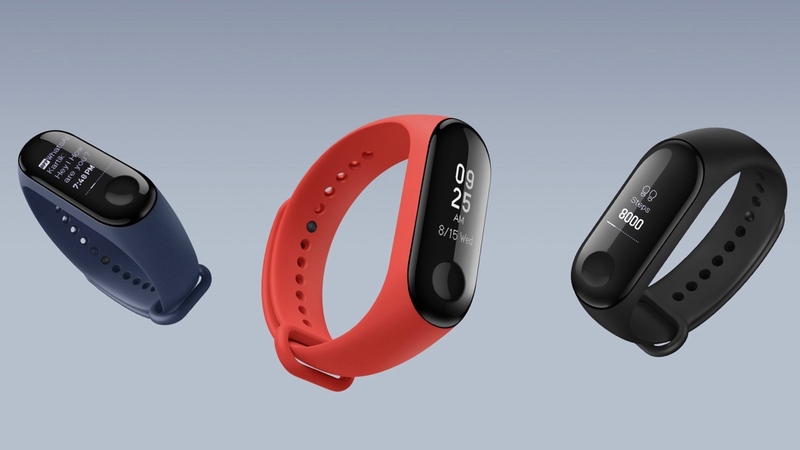 With Xiaomi's latest budget band, there's now a bigger touchscreen display, improved heart rate monitoring features, automatic activity tracking and smartphone notification support. However, there are also plenty of other features that may not immediately jump out at you. That's why we've rounded up our top tips for the Xiaomi fitness band, as well as provided the answers to a few FAQs about the device. Want to master the Mi Band 3? Read on below for everything you need to know. An English version of the Mi Band 3 is available, but if you picked up the Chinese version in order to get an early release of the device, there are a couple of ways to change the language to English. One method requires Android phone users to uninstall the Mi Fit app and instead download the Modified Mi Band App APK. Once installed, check for a firmware update on the app by going into Profile > Settings > Check for updates. Once this is done, you'll notice that the Mi Band 3 will be in English, at which point you can delete the Modified app and install the Mi Fit app again. A better alternative, if you don't want to go through that hassle, is to simply download version Version 3.4.2 or higher of the Mi Fit app from the Google Play Store. There have been some complaints from users that the Mi Band 3 changes back to Chinese if you change your phone language from English to anything else, but we imagine this will be a fix for most people. Akin to many other fitness trackers, you're going to have to pop the unit out of the band in order to access the port. That itself isn't too difficult, though you're probably going to need to force the issue with both hands before pushing the bottom half of the device into the cradle. You'll hopefully never have to reset your device due to any issues, but it's worth knowing how to just in case your Mi Band starts acting up. Just be aware that resetting things means you'll lose any unsynced data being held on the device, and obviously you'll have to repeat the process of syncing the tracker to your phone. To do so, head to the Mi Fit app, scroll down to the bottom and tap Unpair. Before you take the drastic measure of unpairing your tracker, it's probably better to first check whether it's running the latest software. To update the Mi Band, simply select the Mi Band 3 option from your list of connected Xiaomi devices and scroll down to the section showing your firmware version and the Bluetooth address. If there's an update available, it'll appear here. If you're just getting started with the Mi Band, you're likely still set to the device's default home screen. This gives you just the time, day and date, but you can also access a few more faces from the device itself. To get to them, scroll through the More menu until you reach a t-shirt icon (we're not sure why it's a t-shirt) named Screen and then hold the button to swipe through the three available to you. That's not all, either. If you head to the Mi Fit app, you can also jump to Band Display Settings and customise the order in which the menus appear on the list, and also hide some (for example, the Weather menu) from appearing altogether. If you're the type to receive plenty of notifications throughout the day, you may quickly find your wrist being worn out by all the buzzes it's receiving. While it's handy to receive the odd WhatsApp or push message from an app, you may not want every single text filtered through to your Mi Band. Thankfully, the Mi Band lets you tweak which notifications come through and which stay on your phone as normal. Simply head to App Alerts in the Mi Fit app and customise to your wishes. Not all will be displayed in the initial list, but turning on 'Other' should help pull through the rest. When scrolling through the Mi Fit app, you may have noticed that it wants to know which wrist the Mi Band is placed on. It's not just being overly nosey – this actually helps track things like steps and activity, with the on-board sensors tuned to collect data differently from each wrist. Make sure your wrist aligns with the app in order to improve your tracking accuracy. Once you've figured out how to improve your accuracy in the activity department, the next step is to make sure your nighttime hours are being logged correctly, too. The device will automatically track sleep through your movements, but things are greatly improved if you take advantage of the Band's heart rate monitoring. To turn this feature on, head to the Heart Rate Detection tab in the app and make sure you have Sleep Assistant turned on. This will mean your battery runs down more quickly, but it's a small price to pay for deeper sleep insights. If you do choose to wear your Mi Band at night, one thing you won't want is for the screen to keep flashing in your (or your partner's) eyes every time you twist your wrist. If you want to make sure the screen stays off between certain hours, head to the Raise The Wrist feature in the Mi Fit app and edit the settings. You can choose to have it off all the time, on all the time or even set the schedule for when moving your wrist will wake the screen – handy for if you want the best of both worlds. Though this is a fairly standard feature on smartwatches, not all fitness trackers are able to ping the phone they're tethered to in order to help you find it. To do so on the Mi Band 3, all you need to do is navigate to the More section on the device and then swipe right until you reach the Find Device prompt. Hold your finger on the button and your phone should ping until you decide to mute the Mi Band.